﻿I have a busy week ahead of me. I'm hoping to ingrain this image in my head and think of it every time I feel the stress creeping in. Oh my gosh, I was JUST thinking about picnics this morning. We use to go on them all the time when my daughter was little and now that she is grown, we haven't done it in years. On a day like today, I could totally go for a picnic. 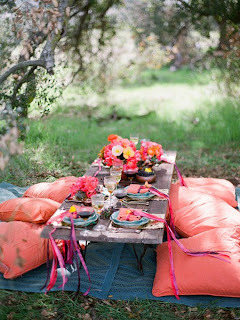 We have done one and I am more of the 'traditional' kind of gal when it comes to picnics.